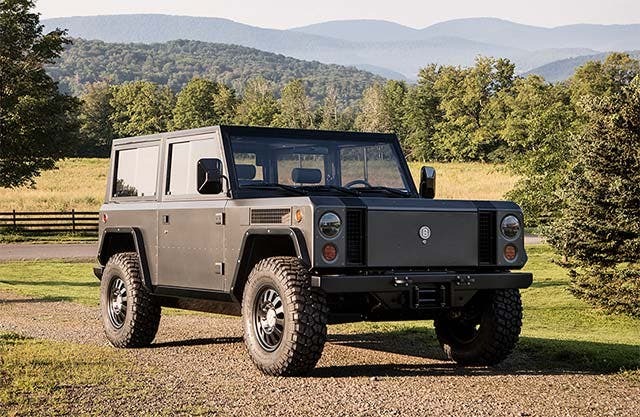 I still remember seeing for the first time massive electric B1 SUV from the US company Bollinger Motors at the Los Angeles Auto Show. It was bold. It was also curious. Why an enormous electric SUV when everyone is turning their attention toward smaller and more efficient cars? It turned out, the first Bollinger B1 is not only impressive, but is well designed, well thought out, and makes sense if you need to drive off-road. Need to go to get some 4″ by 4″? The trunk opens and shows a hollow tunnel that stretches all the way to the front. Want to go skiing? No problem. The skis fit neatly in the middle. Based on the B1, the Bollinger Motors B2 also uses air suspension. This pickup truck version opens the rear loading area of the original B1 for more room. The new Bollinger B2 and the original B1 are switching to CCS, which takes 75 minutes for a full charge. Level 2 charging takes 10 hours. The vehicle has an aluminum body, like a Tesla Model S, yet so different. We’re living interesting times when we can buy electric uni-wheels all the way up to a true electric SUV. 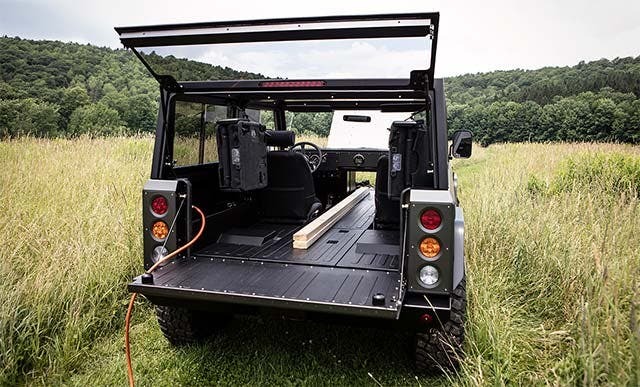 Bollinger Motors answers a specific need that will only grow in the future as inefficient gasoline SUVs and pickup trucks finally get the rest they need.